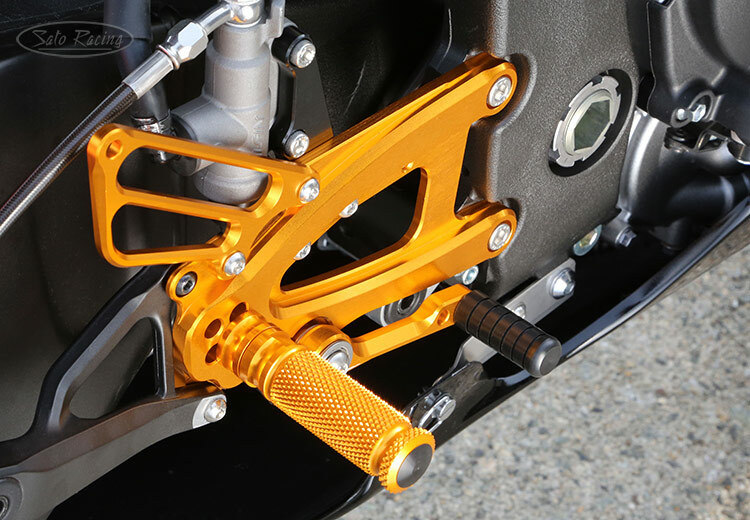 SATO RACING Rear Sets (standard version) for 2015 and up YZF-R1* are a track-engineered design, precision CNC-machined out of high strength billet aluminum. Select from 5 adjustable foot peg positions that bring your feet higher up and further back compared to stock, for enhanced control and improved handling at the limit. 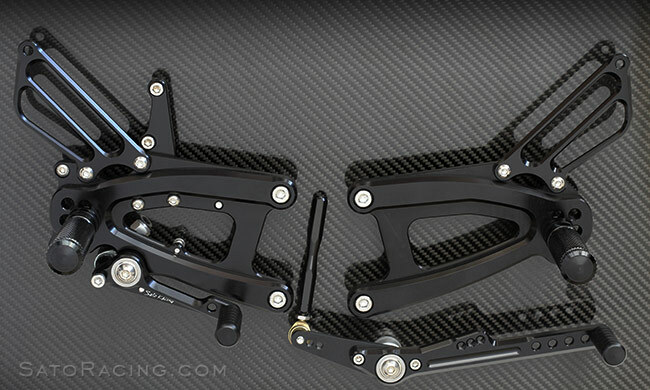 You can use these Rear Sets with the stock shift pattern, or switch them to reverse (GP-style) shift patttern. Fully compatible with the stock brake light switch and ABS. 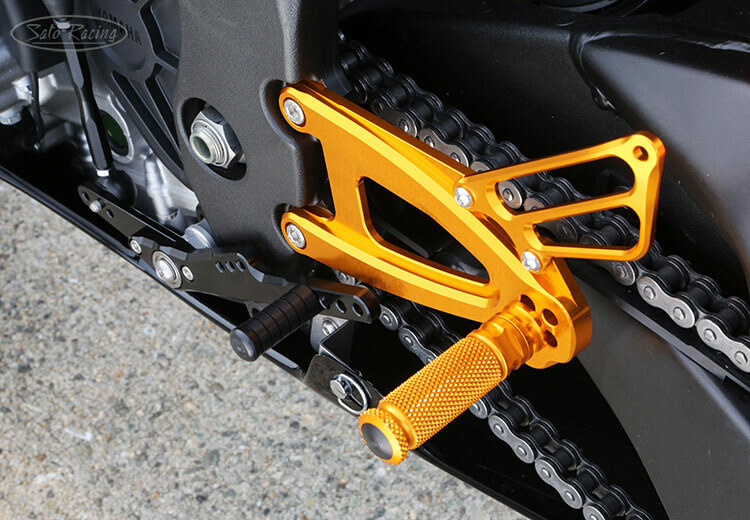 Choice of Black or vivid Gold anodized finish. 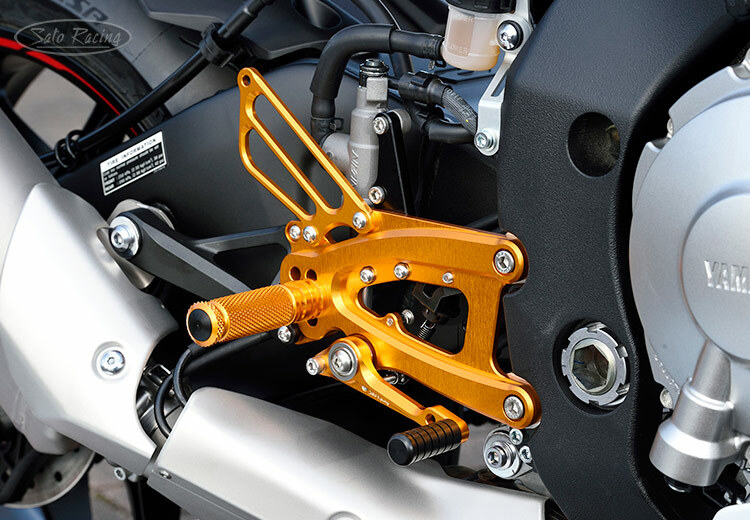 * NOTE: The Rear Sets kit includes a Shift Rod sized for the quick-shifter equipped 2015-17 R1 and R1M. For 2018-19 R1/M, we recommend using a shorter shift rod than what is included in the kit and we can swap in the correct length at no additional charge. For 2016-18 R1S with the conventional shift linkage (no quick-shifter), you will need a longer Shift Rod than what is in the kit, and we can swap in the correct length Shift Rod for that model at no additional charge. 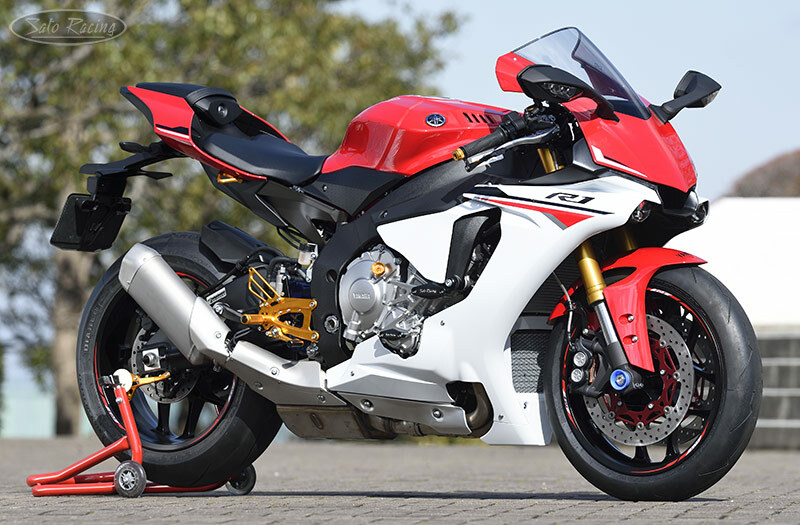 Please mention the year and model of your R1 when placing the order. These Rear Sets are compatible with the stock brake light switch. The shift pedal has multiple adjustment points for fine-tuning the shifter feel. To change to reverse (GP) shift pattern, relocate the shift rod to the opposite end of the pedal. 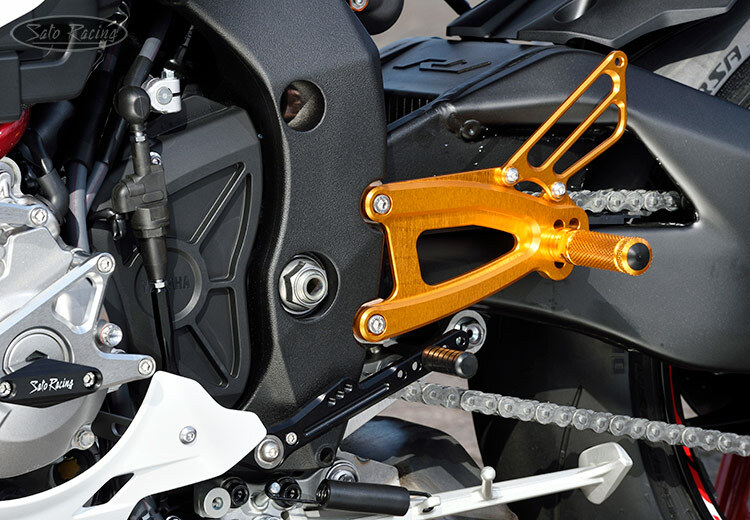 The Foot Peg has 5 adjustable positions. Pedal Tip position is also adjustable.